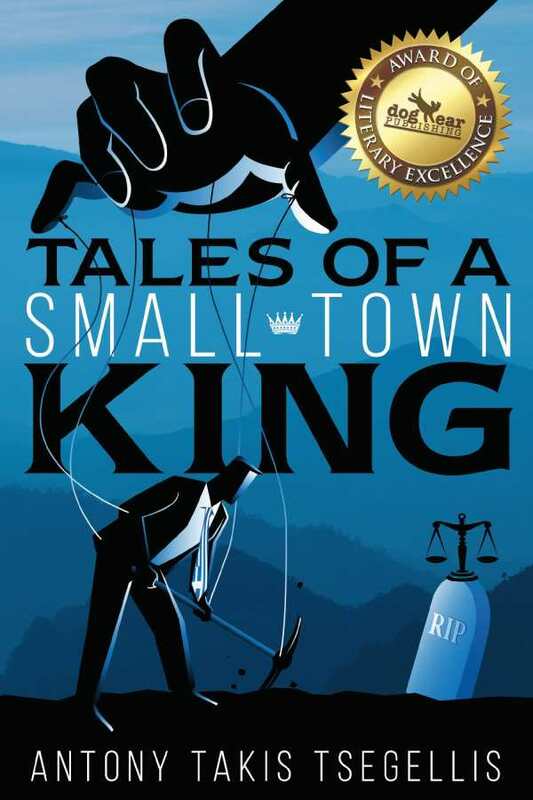 Tales of a Small-Town King is a provocative story about a man forced to confront an ominous legacy. A lawyer questions his loyalty to his coal mining hometown of Shiloh, Kentucky in Tales of a Small-Town King. Antony Takis Tsegellis embroils his character, Takie, in a labyrinthine story that highlights local politics. Takie is both everyman and a distinctly difficult narrator, stopping just short of sardonic. A family man caught between being “bold and ambitious” and “ever fearful of rocking the status quo,” he’s drawn into situations without enthusiasm, all while decrying his perceived lack of status. In short, he’s ripe for a crisis, and the book teases his dark downfall from the start. Chapters dart through incidents from the 1990s to the present, providing ample color and atmosphere. These alternate between Takie’s return to Shiloh for his Greek Uncle Miklos’s funeral; anecdotes in the courthouse; explanations of Takie’s career moves; and stories that involve fictional public figures, sports, and news-making scandals. Such splicing, rather than building tension, results in a plot without an immediate focus. When key information on Uncle Miklos arrives, the writing devolves into breakneck revelations that tie the pieces together. A criminal rainmaker based in Pittsburgh who turns out to have set the story in motion takes the stage too late to make an impact, despite being an intriguing, complicated patriarch. These sections seem less like parts of a novel than the outline of a screenplay. As much as they raise the stakes for Takie, they are also sudden for the sake of convenience. Takie’s moral erosion falls flat. For all of the book’s emphasis on exploring what happens when a man believes he is given everything only to be betrayed, or what happens when disenchantment faces the need to maintain a mask, Takie’s choices seem foregone rather than surprising. There’s no solid foil to hold a mirror up to him. Secondary characters come and go, and family members like Takie’s wife are peripheral. The book strikes gold in its increasing, frantic rationalizing, as well as in its basic emotional pull: as much as Takie wants to regard his town as a backwater that kicked him out, it’s also the same place that made him who he is. Takie’s story is so rife with entanglements that Uncle Miklos’s shadow looms larger in death than it did in life. Tales of a Small-Town King is an ambivalent, provocative story about a man forced to confront an ominous legacy.